Great Grandmaster Kim, Hong Sik opened the Portland, Oregon dojang in 1970. 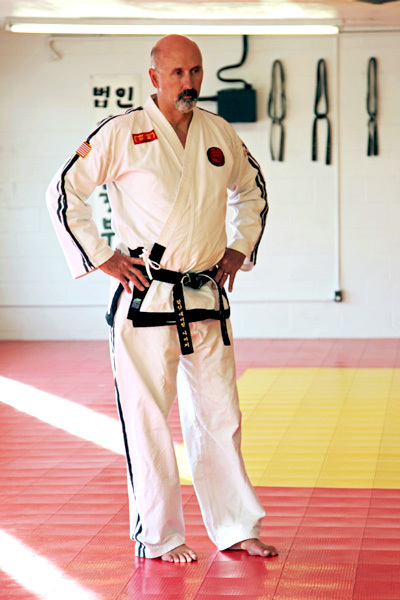 A South Korean army veteran and former National Police instructor, he began traveling the world in 1968 before settling on the Pacific Northwest as the best place to embark on his career as a professional Taekwon-do instructor. As a newly-minted 1st-degree black-belt and direct student of Great Grandmaster Kim, Grandmaster David Knife inaugurated the first Idaho branch in Boise in July, 1982. It remains under his instruction. Since then the school has grown to include locations in Idaho Falls, Blackfoot, Rexburg, Pocatello, Mountain Home, Kuna, Nampa, and Caldwell, all under the direction of black-belt students trained by Grandmaster Knife. and Idaho State University in Pocatello, Idaho. and at the Boys & Girls Club in Garden City, taught by 3rd-degree black–belt Nathan Knife. We train students of all levels in the Chang Hon style of Taekwon-do designed and systematized in the years following WWII by General Choi, Hong Hi in South Korea. The Chang Hon style is a traditional system of self-defense comprised of striking and blocking techniques employing the hands and feet (as well as elbows, knees, palms, and fingertips) against the vital areas of an opponent’s body. Loosely translated, Tae means “foot”, Kwon means “fist”, and Do means “the way.” In Asian culture, however, the word Do means more than simply a physical principle, implying a mind-body connection that transcends mere defensive art. It is true that systematic, intense exercise of Taekwon-do results in a myriad array of physical benefits – cardiovascular health, muscular strength, joint mobility, and flexibility among them. But it is its mental focus that separates it from the merely physical, and elevates the repetition of technique to an entirely different order of self-awareness and discipline.